The "IT" Movie has been breaking records left and right, and helping make 2017 the year of the Horror Flick! Photo by: Warner Brothers, via YouTube. If you're a horror fan, you've probably already seen the box office smash "IT" already - the movie took the box office by storm after being highly anticipated by Stephen King lovers and horror fans for over a year. According to a Forbes report released in early September, "IT" was the highest-grossing movie opening for a September/October movie release, raking in over $123.4 million dollars in its opening weekend alone (Friday through Sunday). The report also noted that the opening weekend audience was 51% female, and that while 10% of the general audience was under 18, 65% was over the age of 25. Not only did "IT" break the box office records for a September/October opening weekend, it completely annihilated the record. The previous record holder for highest-grossing September opening was 2015's "Hotel Transylvania 2", which brought in 48 million dollars - "IT" hauled in more than 2.5x that. Not only was "IT" the top September/October movie release, but "IT" also had the highest-grossing opening weekend for "R" Rated movie ever. Prior to "IT", this record was held by 2001's "Hannibal", which raked in $58 million its opening weekend, over 15 years ago. And if that wasn't enough, "IT" also broke another "R" Rated Movie record - it had the highest single-day gross for any "R" Rated Movie, raking in over $51 million dollars on Friday of its opening weekend. The Official "IT" Movie Poster, via WikiCommons. But wait, there's more! "IT" is the movie that just keeps on shattering records, that's for sure! It's also the highest-grossing non-holiday/long weekend "R" Rated Movie Debut of all time, even considering that the film opened in the wake of Hurricane Irma (Forbes estimates that had it not been for the loss in ticket sales due to the hurricane damage in Florida & Texas, that the movie would have likely surpassed the $125 million mark). Think "IT" is done breaking records yet? Nope. With just its opening weekend alone, "IT" is already the highest-grossing Stephen King movie of all time. Yup, that's right. It beat out classics like "The Green Mile", "Shawshank Redemption", "1408", and even the iconic classic "The Shining" (when adjusted for inflation, of course). While this is quite the jaw-dropping feat, it's no surprise, given how much hype has been surrounding the new "IT" movie since it was announced last year. Finally, in its most impressive record-breaking feat (we think), "IT" is the cheapest movie to ever top $100 million in its debut weekend. "IT" only cost a measly $35 million to make, which is peanuts when it comes to movie-making (as we all know, there's countless action and adventure movies released every year that cost more to make than "It" made in its opening weekend). Considering how well done the movie was, and how well-received it's been thus far, this is pretty impressive. While this isn't record-breaking, it's worth including that according to a New York Times report, as of October 26th (so, right before Halloween! 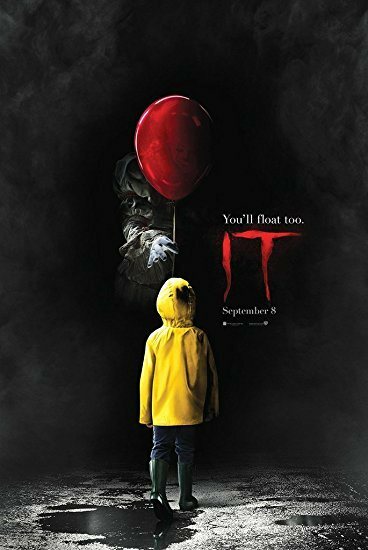 ), "IT" had raked in over $300 million dollars thus far, and that numbers sure to have already increased significantly, and continue to grow as movie goers still flock to check out this latest rendition of the Stephen King classic that has terrorized generations. Have You Seen the New "IT" Movie Yet? Let Us Know Your Thoughts in the Comments Below!